The 2nd Preparatory Diplomatic Conference held in Morocco from 7 to 8 February 2018 carried on with the work started at the 1st Preparatory Diplomatic Conference held in France in 2017. The preparatory work for IALA’s change of status from non-governmental to intergovernmental organization (IGO) gained further momentum at the Second Preparatory Diplomatic Conference generously hosted by the Kingdom of Morocco in Marrakech on 7 and 8 February 2018. Welcoming the high-level delegations from 50 countries where IALA has National members, including strong representation from Africa and the Middle East as well as from around the world, Mr. Abdelkader AMARA, Minister of Equipment, Transport, Logistics and Water, drew attention to the maritime safety and security responsibilities of Morocco as an important coastal State in North Africa bordering the Mediterranean Sea, the Strait of Gibraltar and the Atlantic Ocean. He expressed his country’s strong support for IALA’s activities and those of its World-Wide Academy, praising also the success of the First Regional Training Seminar on Safety of Navigation in Africa held in Marrakech on 6 February 2018, with 79 representatives from 16 African countries and the regional maritime community. The two-day conference was convened in accordance with the Roadmap agreed at the First Pre-Diplomatic Conference held in Paris on 18 and 19 April 2017. Chaired once again by the French Ambassador for the Oceans, His Excellency, Mr Serge Ségura, the Conference also endorsed Mr Lahcen Ait Brahim, Director for Ports and the Public Maritime Domain in the Moroccan Ministry of Equipment, Transport, Logistics and Water as vice-chair. The proceedings further benefited from the legal expertise of Mr Jon Price and Mr Henning Osnes Teigene, respectively chair and vice-chair of the Legal Advisory Panel of the IALA Council. The focus of discussion was the draft text of the new IALA Convention, which is designed as an international treaty instrument that will be open for signature by all United Nations member States upon its formal adoption by a Diplomatic Conference. Delegates worked from a consolidated draft text that took account of written comments submitted by National members in the aftermath of the Paris Conference. This was the first opportunity for multilateral negotiations on the details of the draft text. Yet it was clear from the fruitful discussions that a consensus is emerging on a number of draft provisions, while others will need additional clarification and a further exchange of views. The Secretariat will therefore undertake to amalgamate all results from the two-day conference into a revised draft text for circulation to National members and Points of Contacts in the Ministries of Foreign Affairs for their further comments. Any comments submitted in writing to the Secretary-General before the end of September 2018 will then be taken into account by the Legal Advisory Panel, at its meeting in October 2018, when it will prepare a new, consolidated draft text for submission to a Third Pre-Diplomatic Conference in early 2019. Meanwhile, delegates were left in no doubt that the draft IALA Convention preserves the essential nature of IALA as a technical, consultative and recommendatory organization. Furthermore, once IGO status becomes a reality, which will be upon fulfilment of the ratification requirements as determined by the formal Diplomatic Conference, Industrial and Associate members will be able to enjoy membership of the new organization. 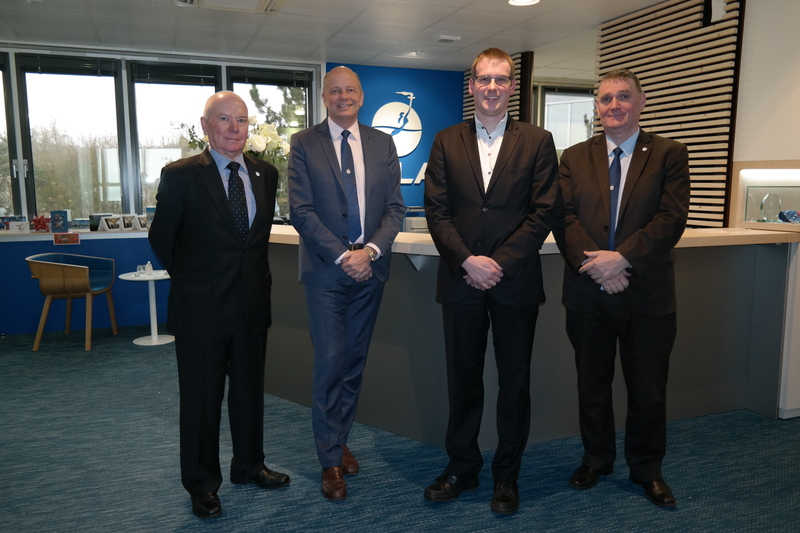 This will ensure the continued cohesion between them and marine aids to navigation providers (the National members), which lies at the heart of IALA’s success as the leading technical knowledge organization in its field of maritime expertise. Closing the two-day conference, Mr Najib Boulif, Secretary of State to the Minister of Equipment, Transport, Logistics and Water, in charge of Transport, congratulated delegates on their hard work in carrying the momentum of the IGO project forward. They were building a new vision and new ways of working for IALA as an intergovernmental organization that will work in close cooperation with its partner international organizations and enjoy unstinting support from Morocco and other coastal States around the world. 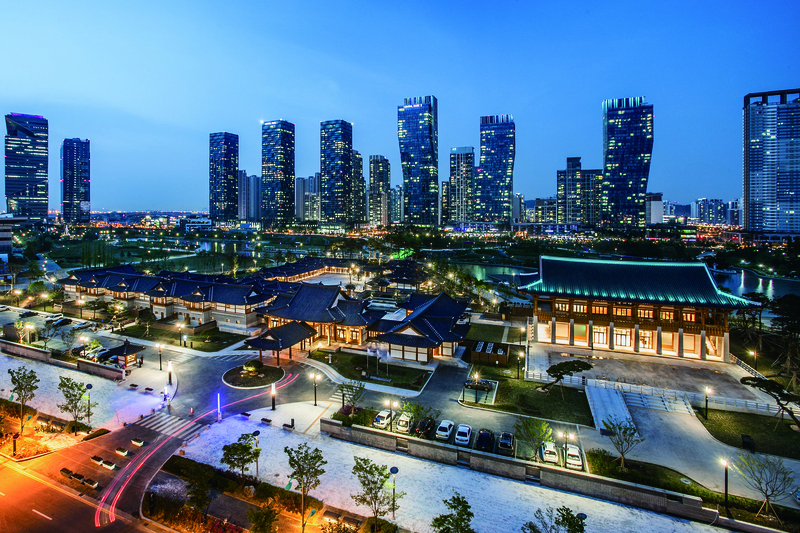 The 19th IALA Conference will be held from 27 may to 2 June 2018 in Songdo ConvensiA Center, Incheon, Republic of Korea. For more information and registration, please visit the Conference Website. 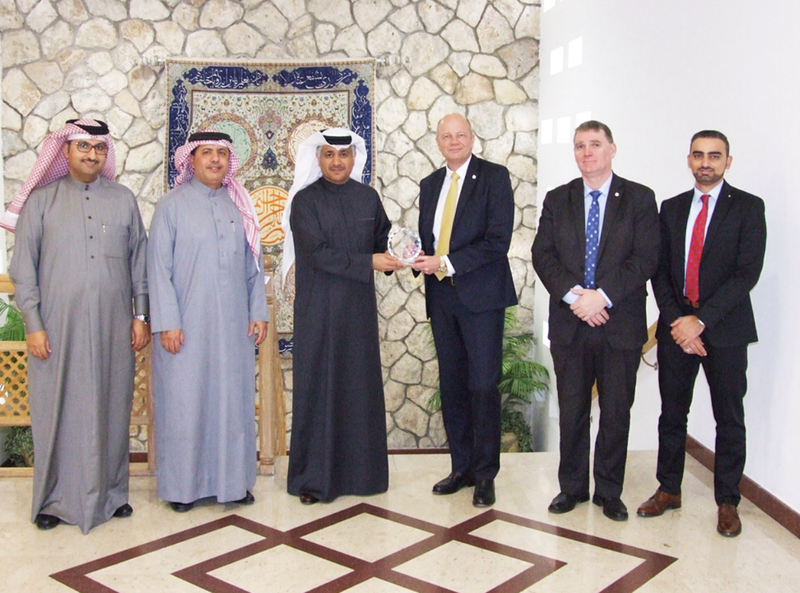 On January 30, the Minister of Transport and Communications Kamal bin Ahmed Mohammed received in his office in Manama, Kingdom of Bahrain, Mr Francis Zachariae, Secretary-General of the International Association of Marine Aids to Navigation and Lighthouse Authorities, accompanied by Mr Omar Frits Eriksson Dean of the IALA World-Wide Academy. During the meeting, the Minister welcomed the Secretary-General and the Dean and expressed the keenness of the Ministry of Transport and Communications to take care of the marine signs in the territorial waters of the Kingdom of Bahrain, particularly those that define the main channels used by commercial vessels. He also pointed out that the port affairs and marine navigation in the ministry take special care of maritime signs. They also discussed aspects of cooperation with the Association and developments in the field of marine aids to navigation industry. For his part, the Secretary-General of the International Association of Marine Aids to Navigation and Lighthouse Authorities expressed his pleasure to visit the Kingdom of Bahrain and meet with the Minister and officials of ports and maritime affairs. He gave a brief explanation of the role of the Association in the development of navigational aids and the development of standards and guidelines necessary to ensure the safety of maritime navigation. Assistant Undersecretary for Maritime Affairs Mr Yousif Issa Bubshit, Assistant Undersecretary for Ports Affairs Mr Bader Houd Al Mahmoud and Acting General Manager of MENAS Mr Mahdi Al Mosawi attended the meeting. The whole team was back to the office by the beginning of January after the holiday season, IALA activities went on with the preparation of the meetings and conferences. IALA keeps a good relationship with its host city, Saint Germain en Laye and was honoured to receive the visit of the Mayor, Mr Arnaud Pericard, and Deputy Mayor, Mr Gilbert Audurier, on Tuesday the 9th of January. 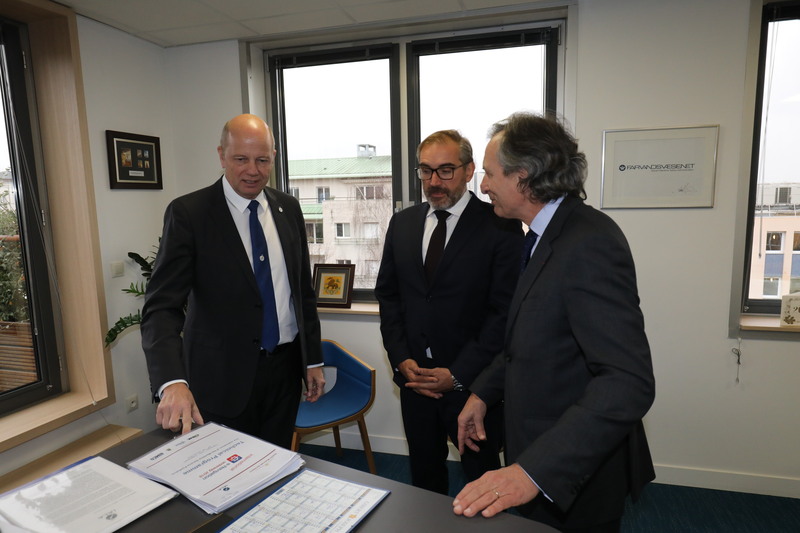 On Thursday the 11th of January, Mr Geert Van Cappellen, Secretary-General of PIANC came to IALA Headquarters for a brief meeting intended to strengthen the collaboration between the two organizations. Climate change is happening which is opening up new Polar routes and increasing summer availability. Ice Navigation needs specialist skills to support safe passage. Arctic tourism is increasing and this is set to continue. A harmonized approach should be adopted for marking polar routes and providing digital services with common standards of provision, web-based services and other means. IALA-NET is a suitable platform for exchanging and storing historical AIS data for statistical analysis and the use of Risk Management tools. Since connectivity is a primary enabler for development in the Arctic, the limited communication infrastructure continues to be a major challenge. VDES-SAT could provide virtual AtoNs and other e-navigation services in the arctic. The frequency allocation needs to be supported at ITU. A multi-system approach should be developed for resilient PNT, using a mixture of GNSS and terrestrial systems and a multi-system receiver. There is a significant shortage of hydrographic survey data to give a comprehensive set of (simplified) ENC for Arctic voyages. Crowd sourcing of hydrographic data can give a significant contribution. A delegation from the Saudi Ports Authority, headed by Director General, Administration, Mr. Musaed Bin Abdulrahman Al Drees, have visited IALA Headquarters, located in Saint Germain En Laye, France. During the visit, a meeting with the IALA Secretary General Mr. Francis Zachariae was held to discuss the mutual interests and cooperation in the various fields of Aids to Navigation, including the training and subsequent qualifying of the Vessel Traffic Management Information System (VTMIS) operators, Automatic Identification System (AIS), LORAN system and the possibility of upgrading it to eLoran. IALA is supporting a forum on Lighthous Heritage scheduled on 27 October 2017 in Tangier, Morocco. Please click here to see the flyer (in French). 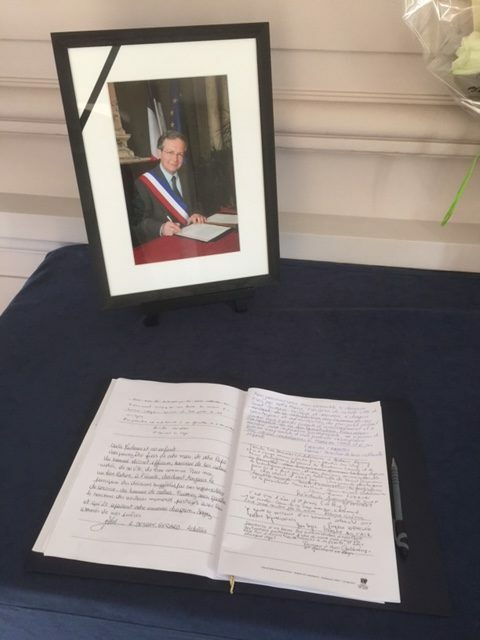 It was a shock for all in the International Association of Marine Aids to Navigation and Lighthouse Authorities (IALA) to learn that the Mayor, Mr Lamy, had passed away in the middle of his important project to make Saint Germain en Laye a perfect place to live and to work. He was an excellent Mayor and a good friend of IALA. We have always felt strong support from the whole team in the “Mairie” in the spirit of M. Lamy’s professionalism and enthusiasm. M. Lamy will be deeply missed by all in IALA and our thoughts and prayers go to his family and friends in this very difficult time. C’était un choc terrible pour l’Association Internationale de Signalisation Maritime (AISM) d’apprendre le décès de Monsieur Lamy, Maire de la ville de Saint Germain en Laye au milieu de cet important chantier qu’il a entrepris de faire de cette ville un lieu unique où il fait bon vivre et travailler. Il était un excellent Maire et un bon ami de l’AISM. Nous avons toujours eu un appui de taille dans notre activité de la part de toute l’Equipe de la Mairie à l’image de son professionnalisme et de son enthousiasme. M. Lamy nous manquera profondément à l’AISM et toutes nos pensées et nos prières vont vers sa famille, ses collaborateurs et amis en ces moments difficiles. On the initiative of the Ministry of Foreign Affairs and International Development of France, IALA’s host country, a preparatory diplomatic conference took place in Paris from 18 to 19 April 2017 to consider the concrete steps needed to achieve IALA’s planned change of status to that of an intergovernmental organization (IGO). Chaired by His Excellency, Mr Serge Ségura, French Ambassador of the Oceans, the Conference developed a Roadmap towards a Diplomatic Conference to adopt a new treaty instrument. As stipulated by the IALA General Assembly, in its resolution of 27 May 2014, the envisaged “IALA Convention” will be open for signature by all United Nations member States. The large attendance at the Paris conference set the scene for two days of active participation by 173 high-level delegates representing 56 countries from around the world where IALA has National Members (IALA has 84 National Members at present). The programme was designed to allow for an open exchange of views and comments on various aspects pertaining to the transition of IALA as an Association under French law to effective IGO status. Delegates were provided with information about the substantive work already done by the Council and its subsidiary bodies on the legal and financial framework for the future IGO, including the background and structure of the draft IALA Convention and the draft General Regulations. In addition, international legal experts provided an insight into the processes involved in preparing for and convening a Diplomatic Conference. A special session on cooperation with other international organizations benefited from presentations by IMO Secretary-General Kitack Lim and IHO Secretary-General Robert Ward. Both emphasized the importance of the IALA-IHO-IMO ‘trinity of excellence’. The seventh e-Navigation Underway International Conference was held from 31st January to 2nd February, 2017 on board the DFDS ferry M/S PEARL SEAWAYS, during which time she sailed from Copenhagen to Oslo and then returned to Copenhagen. The theme for the conference was e-Navigation: A Showcase of Progress and Trends. The conference was attended by 154 delegates, representing 28 countries and 8 International Organisations. The associated exhibition attracted 11 exhibitors, displaying the latest developments in e-navigation. The report is available here. Please also see the dedicated webpage here.